A new useful add-on which goes by the name of “Home Page in Safari” has been released on Cydia which allows jailbroken iPhone, iPad and iPod touch users to set their favorite website as home page in Mobile Safari browser. This could specially come in handy on the larger, more spacious screen of iPad ! Allows you to set a home page in Mobile Safari by simply tapping the “+” button while visiting the website of your chouce, then tapping the “Set as Home”. 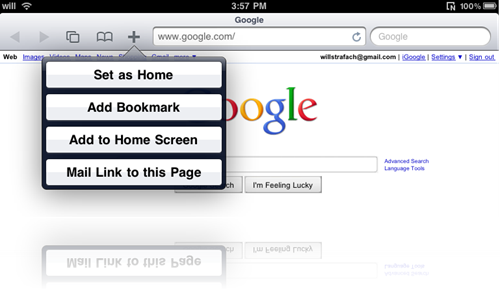 "Home Page in Safari” is available on Cydia on BigBoss repository for $0.99.